Snowtop at Deer Crest is a collection of 15 luxury homes and homesites at the northern edge of the Deer Crest Community of Park City, Utah. These homes command some of the finest views of the Jordanelle Reservoir and Deer Valley Ski Resort. 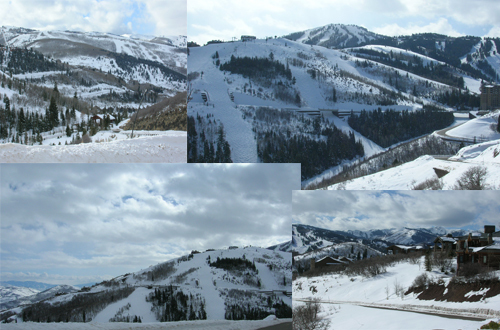 Located just north of the Queen Esther entrance gate to Deer Crest, the Snowtop area offers easy access to Park City via Lower Deer Valley. The Snow Park base area of Deer Valley Resort is less than 2 miles away. Unlike most of the Deer Crest area, the Snowtop area at Deer Crest is not ski-in, ski-out. What the area lacks in ski run accessibility it more than makes up for in views. Home-owners at Snowtop (along with other Deer Crest owners) have the ability to access the St. Regis Hotel to valet their vehicle and use the spa, skiing and restaurant amenities of the new resort hotel. Homes in the Snowtop area at Deer Crest are on relatively small lots ranging from one half to slightly less than two acres. Designated area open space around the Snowtop area will keep this enclave of luxury homes set apart from the rest of Deer Crest and help to buffer view corridors from future area development.